Heavy-Duty 4 inch Black wire supported hose. 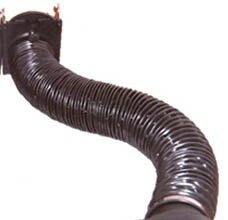 The vinyl scuff resistant hose comes with two 4"
stainless steel hose clamps to complete installation. Cage hanger not included available separately.